Editor’s Note: Given the increasingly difficult situation of Baha’is in Iran, and an increase in the number of arrests, searches and destruction of Baha’i cemeteries, and also the fact that Baha’i students are denied the right to higher education, the following report seeks to outline and present a list of instances of abuse and persecution. The escalation of pressure and persecution is an extremely worrisome development for human rights activists. Iran Press Watch hopes that the officials in charge will take appropriate actions in an expeditious manner to remedy the situation. It is important to state that none of the charges of “sedition against the Islamic Republic of Iran” or “acting against national security” or similar charges detailed in this report are true — the people who have been charged in these cases are simply active and devout members of the Baha’i minority of Iran. 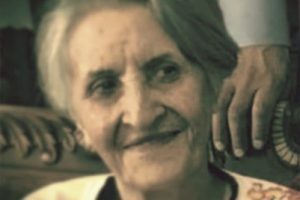 Given the volatile condition and the security atmosphere against the Baha’is in Iran it is possible that some anti-Baha’i activities have been underreported; Iran Press Watch would appreciate any further information from informed readers. January 14, 2009: Jinoos Sobhani, Niusha Nokhah, Payam Aghsani, Aziz Samandari, Shahrokh Taef and Didar Raoufi were arrested following widespread raids on their homes. The homes of the following individuals were also raided, although these Baha’is were not taken into custody: Shahriar Cyrus, Riaz Sobhani and Golshan Sobhani. The authorities who conducted these raids were plainclothes agents. Items seized from the homes of these persons include pictures related to the Baha’i Faith, family photos, personal computers and other personal items. January 4, 2009: Adel Fanaian and Abbas Nourani, who are both members of the local Baha’i administrative body in Semnan, and Taher Eskandarian, a former member of the administrative body, were detained. December 15, 2008: Sahba Rezvani, a member of the Baha’i administrative body in Semnan, was arrested. On the same day, the homes of numerous Baha’is were raided. Several items were seized from each home. October 26, 2008: Zoleykha Mousavi, Ruhiyyih Yazdani, and Aliaskar Ravanbakhsh were arrested. On November 18 2008 they were sentenced to two years in prison for actions against national security by holding “anti-Islamic classes” [actually, they were holding “virtues classes”, which teach such virtues as kindness, charity, love of God, etc.]. May 29, 2008: Mehran Bandy Amirabad was arrested at his work by Ministry of Intelligence agents. On August 28, 2008 he was sentenced to three and a half years in prison for conspiracy against national security, propaganda against the Islamic Republic, supporting anti-government groups, and possession of satellite equipment [his actual “crime” was to be an active Baha’i]. September 28, 2008: The Baha’i cemetery and 2500 trees on the property were destroyed. May 27, 2008: Houshmand Talabi and Mehran Zeini were arrested on charges of burying bodies in the Baha’i cemetery in Vilashahr, which is close to Isfahan. January 19, 2009: The Baha’i Cemetery of Qa’emshahr was severely vandalized and heavily damaged using heavy machinery at midnight. Gunshots were fired during this attack. January 18, 2009: Five Baha’i women were arrested in Qa’emshahr. The names of the victims are: Taraneh Sanai, Shahnaz Sa’adati, Amelia Fanaian, Anisa Fanaian and Farzaneh Ahmadzadegan. January 10, 2009: Firouzeh Yegan and Pegah Sanai, 20, were arrested. The authorities entered their residence by climbing the wall. 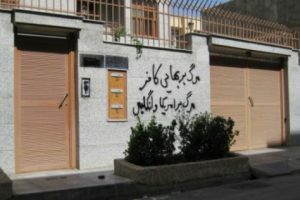 January 4, 2009: The homes of the Sanai, Asadi, Nokhah and Fanaian families, all in Qaimshahr, were raided and searched. December 24, 2008: A number of Baha’is in Qa’emshahr were summoned to the Ministry of Intelligence. Farzaneh Ahmadzadeh, Taraneh Sanai, Bijan Nokhah, Sohrab Laghayi and Emilia Fanaian were among those summoned. A number of homes were also searched. November 22, 2008: Anvar Moslemi was arrested, and his home was searched. November 22, 2008: The Baha’i cemetery in Qa’emshahr was vandalized for the third time. March 28, 2008: Soheila Motalebi was arrested, and her home in Qa’emshahr was searched. November 17, 2008: Masoud Atayian was arrested, and his home in Qa’emshahr was searched. November 4, 2008: Siamak Ebrahimian was arrested in Tonekabon. He was sentenced to four months in prison and two years of internal exile to Zabol. November 3, 2008: The Baha’i cemetery in Qa’emshahr was vandalized for the second time. October 23, 2008: The Baha’i cemetery in Qa’emshahr was vandalized. Eighty percent of the graves were destroyed by use of front-end loaders. October 17, 2008: Tarazollah Allahverdi and Sonya Tebianian were arrested in Behshahr on charges of propaganda against the government and of being in contact with the Baha’i World Center. They were subsequently transferred to Sari. May 29, 2008: Foad Naimi was arrested in Sari. He was a member of the local Baha’i administrative body. He was charged with membership in the local Baha’i administrative body and actions against national security. He was sentenced to two and a half years in prison and internal exile to Fars province. It should also be noted that Feizollah Roshan, who was arrested in 2007, was sentenced to one year in prison. He is still being held in Sari. May 19, 2008: Ali Ahmadi, Changiz Derakhshanian and Simin Gorji were arrested in Qa’emshahr on charges of propaganda against the government. Ali Ahmadi was sentenced to 10 months in prison and one year of exile to Khalkhal. His exile was later commuted. Changiz Derakhshanian was sentenced to six months in prison. Simin Gorji was released after six months in jail. January 14, 2009: Nine Baha’i students were dismissed from the University of Kerman on the grounds of belief in the Baha’i Faith. The expelled students are: Bita Momtazi, Sepehr Qodrat, Mahnoosh Dehqan, Ghazal Sadeqi, Daniel Mottahari, Liva Baghi, Nilofar Kan’ani, Nasim Mo’attar and Arman Roshani. March 5, 2008: Mahvash Sabet, one of the members of the national administrative body, was arrested in Mashhad. May 14, 2008: Six of the seven members of the national administrative body were arrested. They are Fariba Kamalabadi, Afif Naimi, Said Rezai, Vahid Tizfahm, Jamaleddin Khanjani and Behrouz Tavakoli. The seven members of the national administrative body are all currently held in section 209 of Evin Prison in Tehran. No further information is available on their current condition. On May 9 2006 a group comprised of both Muslim and Baha’i youth was arrested. The members of this group were engaged in a social and economic development project in an underprivileged section of Shiraz. Muslim members of this group were immediately released. The 54 Baha’i members, however, were detained for one week. Most were released after one week. 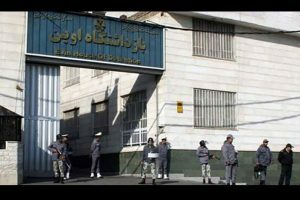 Three, however, were interrogated in Sepah prison for one month. The three Baha’i youth were subsequently summoned to court, and they were sentenced to four years in prison. The other 51 Baha’i youth were given suspended sentences of one year imprisonment, on the condition that they attend classes on Islam. Raha Sabet, Haleh Rouhi and Sasan Taghva have served 10 months of their four-year sentences. The other 51 Baha’i youth are attending the compulsory classes imposed by their sentence. An internal governmental memorandum revealed that these young adults were not involved in any conspiracy against the government and they were not teaching or promoting the Baha’i Faith. in this report there was nothing about thebahais of hamedan….mr kamran aghdasi put into jail formore than 9 months…2 bahai women were sentenced to 1 year jail and mr mozafar ayoubi were sentenced to excile to khash for 3 years!along with a bahai student in 12 grade was abandoned of continue of her studies.